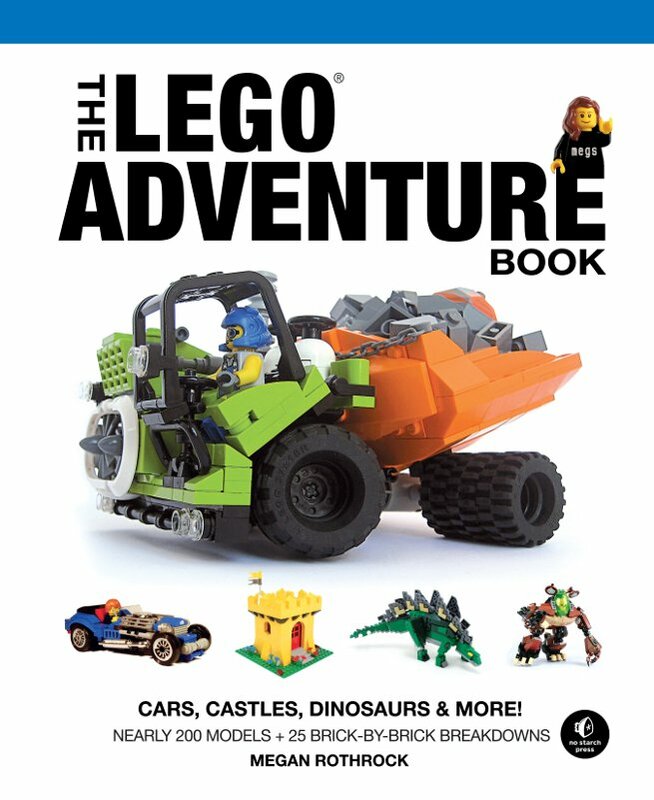 There are many unofficial LEGO books out there on how to build different techniques and projects (including my own), but when I received The LEGO Adventure Book by Megan Rothrock from No Starch Press, I was pleasantly surprised to find an advanced book for younger readers, as opposed to the simplified books put out by LEGO itself. The LEGO Adventure Book takes a whimsical approach to presenting the material. It’s done in a comic book type format, showing off approximately 200 models that are presented in full color comic book type panels with the author representing herself as a minifigure that talks to the audience and other minifigures. She presents the minifigure scale projects that are very kid oriented projects, but use advanced building techniques that are good for all ages. The author also introduces the reader to other adult LEGO builders who contribute and explain projects they have created. By making use of other members of the LEGO fan community, Rothrock is able to gain more variety in the projects. Many of the designs are based on existing LEGO themes or offshoots of the themes that LEGO creates, like cars, medieval villages, starships, dinosaurs, and trains. The book also explores themes that LEGO has not delved deeply into, but are popular among LEGO fans, like steampunk. It’s also worth noting that this is the only unofficial LEGO book I’ve seen that includes a section on LEGO Friends. Although the presentation makes the book appear to be aimed at children, the material delves into deeper material, but the simple appeal makes the material easy to understand and build. I highly recommend The LEGO Adventure Book, but had the projects included a list of parts for each project, it definitely would have helped to know if you have all the parts for a project or which ones you need to get.